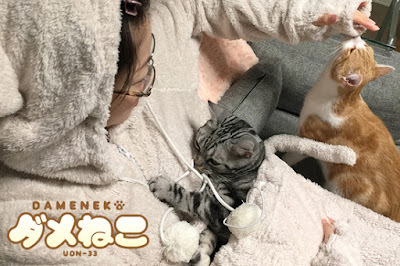 The latest weird but cute thing to come out of Japan is the Mewgaroo Cat Carrying Jumpsuit: a jumpsuit with cat ears and cat tail, or a Catsuit if you will. 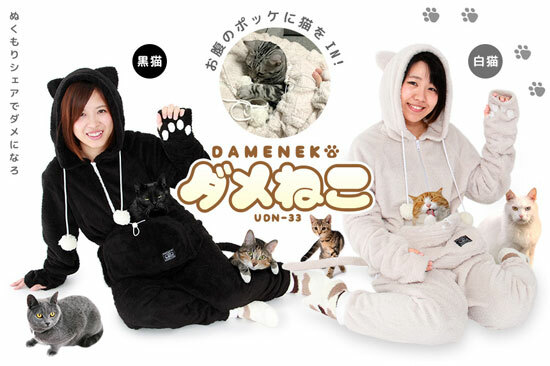 And like it’s hoodie cousin, and the weirdest but cutest part is it has a special pouch with a top opening in which you can stuff your cat, to complete the image. With the pouch, your kitty could “relax” in and a trap door so you can do your business while still carrying your kitty, which will undoubtedly make your cat happy and not freak out at all. Ok, I do not know what do you think right now, but, as me , a totally crazy cat ladies, just find it kind of weird ,and kind of so sweet. Wait, the most weird part is you can buy this cat carrying jumpsuit from Amazon.com ! !YES, Amazon,com: Meowgaroo Jumpsuit White/Black Cat . Humm... Will be great gift for you or your crazy cat lady friends. Maybe, i will buy one , what do you think?